Details about Apple's 2018 iPhone range are being reported at an ever-increasing rate right now and, with WWDC 2018 taking place next week, we thought we would clearly lay them out, model by leaked model. We've also got a dedicated 2018 iPhone X guide, which provides a comprehensive overview of the supposed new range, so be sure to check that out for even more details after getting up to speed on this year's potential devices below. For a while the Apple iPhone SE (2018) was rumoured to be the iPhone SE 2, but then reliable leakster Evan Blass revealed the name to be iPhone SE (2018). This is the same phone that was supposedly shown off in a video sporting a squarer iPhone X style design and notch, with it also reported as retaining a 3.5mm headphone port and coming equipped with a backplate made from glass. As with the original iPhone SE, this will be reportedly be the smallest form factor phone in the new range. 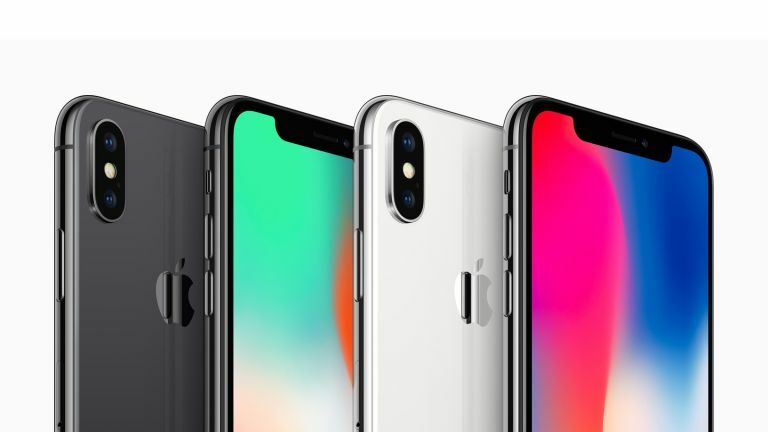 The main new device of Apple's 2018 iPhone range, the new iPhone X will reportedly retail for $100 less than the original, come loaded with Apple's new A12 processor, a 5.8-inch, 458ppi, OLED edge-to-edge display, a TrueDepth dual camera system that supports Face ID, 4GB of RAM, and a stainless steel frame. The 2018 iPhone X is expected to retain its notch and also offer dual-SIM support. According to widespread reports, this new iPhone X will directly replace the existing model. Some reports are also referring to this model as the iPhone XI. Reports of a super-sized iPhone XL equipped with a 6.5-inch display have also being circulating for a while now. This would be significantly bigger than the new 2018 iPhone X's 5.8-inch display, with the XL reportedly rocking a 1,242 x 2,688 resolution panel. It has also been suggested it will come in a unique gold colourway. As with the new iPhone X, the iPhone XL is expected to feature Apple's new A12 processor. One of the more recent models to be supposedly leaked, the so-called budget iPhone X, is reportedly equipped with a 6.1-inch screen (OLED or LCD, the jury is still out). Commentators suggest that this model will most likely use LCD panel tech to keep costs down, and essentially repackage last year's iPhone X core hardware spec in a different form factor. There are many similarities in reported details between this model and the rumoured iPhone 9, though, so they may be the same device. Finally, despite rumours indicating that Apple ditched its current numerical naming convention for iPhones with the iPhone 8, reports about an incoming iPhone 9 just keep coming. Details have supposedly emerged pointing to this device sporting a 6.1-inch LCD screen, an aluminium frame, coming with a fast charger in the box, and retailing for around £550. PPI has been reported as sitting between 320-330 pixels. Whether or not the iPhone 9 and the budget iPhone X are the same device remains to be seen. While we would be surprised to see all of these devices released by Apple in 2018, many details here ring true to us here at T3 and, naturally, we're super excited to see exactly what the company has in store when its customary September keynote event rolls around.